The effects of fire damage, whether it be from a lightning strike, a candle left burning, or even a kitchen fire can be extremely devastating to any home or business owner. A disaster involving fire can be a time of emotional exhaustion, confusion and frustration. It is for this very reason that Vines is prepared to handle every obstacle you may face in restoring your home or business to its former state. Fire damage can lead to an unsafe environment for you and your loved ones. We are here to take the uncertainty out of the situation and get your life back on track. 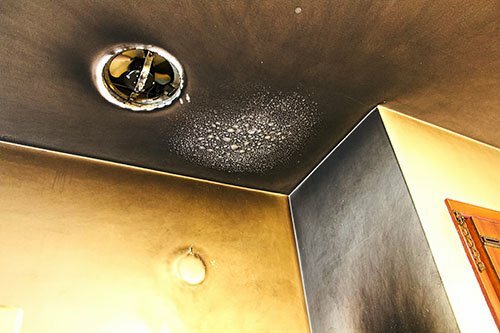 Fire damage creates an unfortunate number of concerns that need to be addressed immediately for a successful restoration. Whether it be securing the property, packing and inventory of belongings, smoke odor and soot removal, structural repairs, flooring restoration and replacement, content cleaning, or even ozone treatment Vines stands ready to handle all situations with quality results. Located in Myrtle Beach, , Vines Plumbing and Water Restoration is here to help. Most insurance policies state that you have the responsibility to mitigate damages to prevent further damages from occurring. Vines specializes in securing your home or business to prevent an already unfortunate situation from becoming worse. In times of fire damage, burglary incidents, and vandalism Vines is at your service 24 hours a day, 7 days a week, 365 days a year. When you experience a fire in the home or business, the immediate physical damage is quite evident and disheartening. However, Smoke odor and soot removal is an after effect that we take very seriously. The long-term effects of smoke odor and soot can become an even bigger problem if not carefully, and thoroughly, addressed. Vines specializes in, not only repairing the physical damage a fire creates but also, the damage that is hard to see right away. We follow a rigorous and thorough process to ensure that the effects of a smoke and soot on your home or business are completely eliminated. If an item can be restored, we will restore it. We work with you and your insurance company to navigate the intricacies of restoring your home or business to its former state. Restoration has saved insurance companies millions of dollars over the years, which trickles down to home or business owners everyday as lower premiums. At Vines Plumbing and Restoration we are equipped to handle restoration jobs ranging from a hundred dollars to multi-million dollar jobs. We are sometimes able to save and repair a hardwood floor in a home or business. At other times, it is more cost effective to remove and replace the damaged flooring. Every situation is different and we treat each customer with care as if the property were our own. Once we have packed-out, inventoried, and transported your personal belongings to our facility, we proceed with the cleaning process. Whether it be through the use of a chemical sponge, or another number of cleaning solutions we take great pride in treating your valuables with extreme care. We operate an ozone chamber at our facility that leaves your items smelling fresh and odor free. Ozone targets odor-causing substances, especially smoke, at their source to permanently remove odors from the items being treated. Have your plumbing issues go away with Vines Plumbing & Water Restoration. 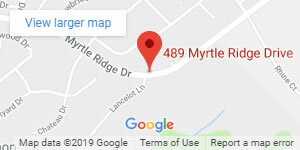 Call us and get immediate services from our professional and experienced team in Myrtle Beach, SC. Contact Our Team Of Professional And Let Us Begin Restoring Your Damaged Home Or Business Today!